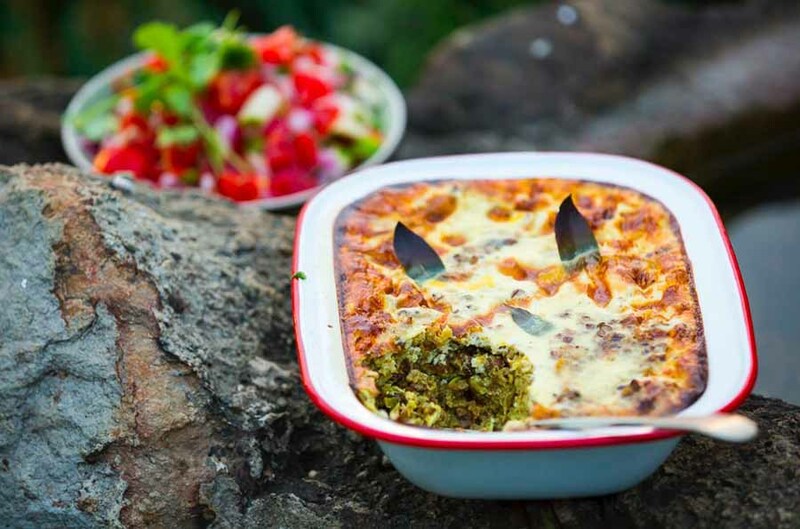 Bobotie is a much-loved South African meat dish that’s traditionally Cape Malay in origin. It’s a deliciously fragrant baked meat dish that’s laced with Indian spices and topped with a simple egg custard mixture. It’s usually served with fluffy rice bright, colourful sambals on the side. It’s also a no-mess, no-fuss one pot wonder, and it’s a great make-ahead dish if you’re entertaining. Here, I’ve added a little extra goodness and bulk by adding in a good handful of lentils, which you’re welcome to do too, and the recipe works just as well with with beef. For more on Sarah’s fourth cookbook that will on shelves soon click here.